Doing away with the crust cuts down on prep time, cook time, and carbs — and the cheesy custard is the best part anyway. There is no really other way to put it: this quiche is insanely delicious. Whether you serve it for brunch, dinner, or any time in between, it’s worth every single calorie. Doing away with the crust cuts down on prep time, cook time, and carbs — and everyone knows the cheesy custard is the best part anyway. To hold the quiche together, I spread the broccoli out on the bottom of the quiche to create a crust-like layer, making the quiche sturdy and easy to serve. If you’d like to substitute other vegetables, like asparagus or mushrooms, feel free but keep the ratio of veggies to custard the same – and, of course, always cook and season the vegetables before adding them. As with any quiche, the oven temperature is key. Quiche should be cooked at 325°F (not 350°F as most recipes direct) for the creamiest, silkiest custard. Eggs like to be cooked gently, and those 25 degrees really do make a difference. Finally, this quiche reheats beautifully so don’t hesitate to make it ahead of time and warm up as needed. To begin, melt the butter in a large sauté pan over medium-low heat. Add the shallots and cook until soft and translucent, about 4 minutes. Do not brown. Add the broccoli, 1/4 teaspoon of the salt, and 1/3 cup water. Increase the heat to medium and cook, stirring occasionally, until the broccoli is al dente and the water has evaporated, 3-4 minutes more. Set aside. In a large bowl, whisk the eggs with the cream, nutmeg, remaining 3/4 teaspoon salt, and cayenne pepper. Spread the broccoli and shallots evenly over the bottom of the prepared pie plate. Sprinkle the cheese over top. I think Gruyère is perfect here — it melts nicely and has a nutty, earthy flavor — but Comté, Beaufort or Cheddar would also work well. Then pour the egg mixture over the cheese. Bake for about an hour, or until the custard is set and the top is golden brown. Let cool for about 10 minutes, then slice into wedges and serve. For more quiche recipes, check out my spinach quiche and my leek and parmesan quiche. Enjoy! Preheat the oven to 325°F degrees and set an oven rack in the middle position. Grease a 9-inch deep dish pie plate with butter. Melt the butter in a large sauté pan over medium-low heat. Add the shallots and cook, stirring occasionally, until soft and translucent, about 4 minutes. Do not brown. Add the broccoli, 1/4 teaspoon of the salt, and 1/3 cup water. Increase the heat to medium and cook, stirring occasionally, until the broccoli is al dente and the water has evaporated, 3-4 minutes more. Set aside. Spread the broccoli and shallots evenly over the bottom of the prepared pie plate. Sprinkle the Gruyère over top. Pour the egg mixture over the cheese. Bake for about an hour, or until the custard is set and the top is golden brown. Let cool for about 10 minutes, then slice into wedges and serve. Make Ahead: This quiche can be made a day ahead of time and refrigerated. To warm up individual slices, simply reheat in the microwave for about a minute. To reheat the entire quiche, cover with aluminum foil and bake in a preheated 325°F oven until hot in the center, about 30 minutes. Freezer-Friendly Instructions: The cooled quiche may also be wrapped tightly in foil and frozen for up to 3 months. Remove the quiche from the freezer about 24 hours prior to eating and reheat it, covered with foil, in a 300-degree oven until hot in the center. I made two of these two months ago. One we ate right away and I recall – it was awesome. I had cooked them both off- andI forgot all about the other one that I had wrapped well and placed in the freezer. Until I was cleaning the freezer and sent the frozen quiche to my parents who were returning from several weeks away from their home and an empty fridge. It defrosted on the three hour drive there, got popped in the oven at 350* for twenty minutes and provided an awesome dinner for two tired grandparents home from a really long stay with four grandchildren. As always, rockstar recipe, taste and happy humans eating happy food! Thank you! Jenn – I have to tell you that I don’t eat eggs and especially quiche because of so many eggs in it. I made this for a small dinner party as an appetizer. I took one small taste and ended up eating all the leftovers the next day. It was absolutely delicious. Making it again for the Easter Holiday. Your recipes are simply wonderful. Thank you. Bought your book. Love it. This is so tasty and delicious and also easy to prepare. Everybody enjoyed it. Love so many of your recipes! Wanted to let you and your fans know that I tried substituting the cream in your crustless quiche with a low-fat option and am delighted with the result. I subbed the cream for 1 cup Greek nonfat plain yogurt plus 1/2 cup cashew milk. Wisked until smooth, and proceeded with the recipe. Sorry – I used half and half, not milk! I had to substitute whole milk, regular onions and cheddar cheese. Still absolutely divine. It also freezes beautifully. I served this when the bridesmaids were getting ready at my house. To make mini quiches I put them in cupcake pans. they really turned out perfect! Thanks! I made this Quiche today and we all loved it! I was testing it partly to try to find more Company worthy breakfast ideas……I found it would be great for company, but also just for a nice Weekend Breakfast/Brunch since it is easy to make. It actually could work for any meal of the day depending what type of sides it is paired with (fruit salad / lettuce salad / breakfast meats, etc.). The only thing I changed was the type of cheese in order to use what I had on hand; I used Sargento’s “4 State Cheddar Cheese Blend”………..it turned out wonderful. This is the second recipe I have tried from your web-site…….loved them both……I’m looking forward to trying some more! Thank you! Would half and half work? Hi Amy, The cream makes the quiche a bit sturdier, but you can make it with 1/2 & 1/2 — the quiche just might be a little harder to cut and serve. Hope you enjoy! Hi Margarita, I’ve never worked with tofu, so I can’t say for sure how it will work here. In terms of a substitute for cheese, you could try a non-dairy version. I’d love to hear how it turns out if you try it with either of these tweaks! This is a very easy and tasty recipe. Made exactly as written for first go around and will continue to do so except changing up veggie for variation. It is rich but balanced with a green salad, perfect combo. Thank you, Jenn! Dry ingredients listed in ounces? No cook time listed in actual instructions..just color and set? Terrible instructions. Hi Cynthia, I’m sorry you found the instructions unclear! The recipe actually has metric conversions. To view them, scroll down to the recipe and immediately under the recipe title on the right side, you’ll see a little toggle. If you move it from “cup measures” to metric, you’ll see measurements that will work for you. And the baking time for the quiche is an hour (which you can find in the first sentence of the 5th paragraph). Hope that clarifies! Hi Jen. I just made this and it was delicious. You mentioned that we could make the spinach gruyere quiche crustless too. I would like to serve them both at a shower and I have 4 of the same size pans, Would you add 2 more eggs and more cream to the spinach one in order to have the same level as the broccoli crustless in the deep dish pie plate? Or should I keep the proportions the same?Would you still put the gruyere on the bottom – or the spinach on the bottom. Hi Kodie, Glad you liked this! For the spinach and gruyere quiche, what size are the pans you want to use? This is just insanely delicious! Everything I’ve made from your site is delicious and this is no exception. 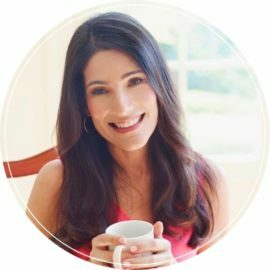 I just started a keto diet and was hoping to find another great recipe that happened to be low-carbohydrate. This was perfect. Thank you! Should I put the spinach on the bottom? This recipe is delicious. I have a comment and a question. My oven is a convection oven and at the 325 cooking temp, within a few minutes, it looked like the quiche was starting to curdle so I reduced it to 300 then 280. It turned out fine. My question is whether it is necessary to pre cook the broccolli? I cooked it exactly as you suggested, and while the quiche tasted great I thought the broccolli was a little overcooked in the end, losing it’s very bright green color and a bit on the mushy side. Hi Carolyn, Glad you enjoyed it! That makes sense re. the temperature, as the general rule for cooking in a convection oven is to reduce the heat by 25°F. I always pre cook vegetables for quiche but you might be able to get away with using the broccoli raw if you cut the pieces small. I think the broccoli will lose its bright green color either way, but it will definitely be more crisp. If I use a frozen pie crust, does it change the recipe? Would I need to pre-bake the crust first? I love your version, but I’m cooking for a traditional crowd. Thank you so much! Hi Ivy, Yes I would pre-bake the crust in a 400°F oven for 10 to 15 minutes, then reduce the heat to 325°F. Also, you’ll need to reduce some of the other ingredients or it will overflow – I’d use 4 eggs, 1-1/4 cups cream, 1/2 teaspoon salt (in the custard, keep the 1/4 teaspoon for the broccoli), and 3 oz gruyere. Hope that helps! Amazing-as per almost every recipe of yours I’ve tried. Made exactly according to instructions. Loved it. A wonderful site. I tell everyone I know who loves to bake or cook to head here AND to purchase your cookbook. One suggestion? Maybe allow reviews to be left online for the recipes only in the cookbook. It might convince others of the value of owning your cookbook. Without a doubt the best quiche recipe ever! I make it often. Tonight I stirred in a spoonful of your sundried tomato pesto into the egg mixture, it was insanely yummy! Thanks Jenn. I have made this recipe as is and it is wonderful! I also made it last night with I/2 yellow diced in place of the shallots. ( I didn’t have any shallots) and used 10 large mushroom tops (baby Bella) in place of the broccoli. It was so good too! Great recipe. And pretty simple too! This has become my go to quiche to make. I’ve made it with cheddar and swiss but I have to say the gruyere is my favorite. It is so creamy. Everybody loves it. My one cheat is I use frozen broccoli florets because I’m lazy. I put the bag in the fridge the night before to thaw and I don’t add any water when adding to the shallots. It turns out wonderfully. I just bought your cookbook and I’m looking forward to trying more recipes. The first time I made this recipe, my daughter said its was the best quiche she has ever had. When she asks “what’s for dinner” and I say quiche, she gets a huge smile on her face. I was looking for a way to cut down the fat and calories so I used plain greek yogurt (non-fat) instead of the cream and it out comes out perfect. Thanks for the great recipe!! Carol — I want to try this quiche using your idea of Plain Non-Fat Greek Yogurt. Did you replace the entire 1 3/4 Cup Heavy Cream with the exact same amount of Greek Yogurt OR did you do a combo of the two? Just curious what you did there since you were happy with the results. That adjustment would make it a very friendly Weight Watcher Recipe for those dieting. Thanks! We’ve made this many times, adding whatever veggies, meat and cheese that we have on hand. It never disappoints. It’s always light and fluffy. I’ve made this twice for different gatherings and it was very well loved. Rich, creamy, and conforting – exactly what we need especially during the holiday season! Use a deep dish pie pan (which I did not have) and I had to spoon off some mixture before baking. Hi Jen, my work is having a breakfast potluck meeting on Thursday. I’d like to make something savory/with eggs because so many people have already signed up to bring sweet treats. However, I don’t have access to an oven at work and the meeting is about an hour after I have to get here. Do you have a suggestion of a savory dish that is delicious at room temperature? Thank you for all your amazing recipes! Hi Katie, A frittata would work nicely as can be served hot, cold, or at room temperature. Maybe this Zucchini and Cheddar Frittata would appeal to you. Hope that helps! Silly question, but what size pie pan works best with this recipe? Thanks so much! 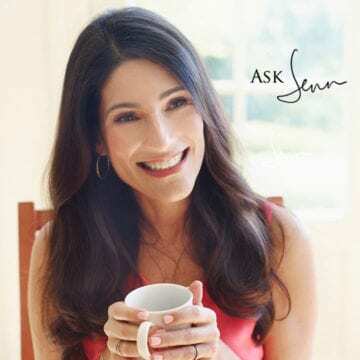 Ps – I’m receiving my cookbook tomorrow and can’t wait – I’ve gotten so many amazing recipes from your website. Glad you like the recipes and thanks for purchasing the cookbook! You’ll need a 9-inch deep dish pie plate. Hope you enjoy! Jenn- I make lots of your recipes and they make me look like a much better cook than I really am. But this recipe was fantastic. My husband said ” This is probably one of the best things you have ever made- its light, creamy and delicious” And best of all- it was easy to make. Thank you for helping me to be a good cook! Absolutely delish! This recipe is a keeper! Thank you! I would really like to add sausage to this recipe, what do you recommend? Hi Alese, That sounds delish – I think 1/4 pound would be about right. I would omit the butter…remove the sausage meat from the casings, crumble and brown in a dry pan, then remove the meat with a slotted spoon, leaving any fat in the pan to proceed with the recipe and cook the shallots. Please lmk how it turns out! This was SO good!! My husband who doesn’t even like quiche or scrambled eggs, actually ate ALL of the leftovers. We subbed out spinach and mushroom in place of the broccoli and it worked perfectly. Not only was this dish simple to make it was absolutely delicious and it freezes beautifully. We recently became empty nesters and this is the type of dish that can easily be reheated once frozen for a quick and elegant dinner when paired with a simple salad. Love your cookbook and the new site design. Please keep the recipes coming. can swiss cheese be substituted for the gruyere? I have a lot of it. Hi Mary, Gruyere is my preference here but swiss will work — the quiche just won’t have as much flavor. I used gruyere and it was delicious (and I’m not a broccoli fan)! Making your classic tomato soup today…just want to echo what others have said: your recipes are DELICIOUS and I always feel confident making them…even experimenting on guests! Thank you for sharing your cooking wisdom with us! I love this quiche. I have passed this recipe onto friends. I bring it to work – everyone loves it. I make it as the recipe is written and I have also made it adding pancetta. Love this quiche. I have made it numerous time and have also passed this recipe onto friends. I bring it to work and everyone loves it. I have made it as written and I have also made it adding pancetta. Jenn, I make a quiche weekly for a quick weekday breakfast. I was eager to try this crust less quiche as we are trying to reduce our carbs. Not that we don’t love a good pie crust, but we wanted to save our calories and carbs for your Bourbon Brown butter pecan pie! This quiche was so flavorful we barely missed the crust! Next on our list is to try you Thai minced chicken lettuce cups. Thanks for a great recipe! This is delicious! I made it for my book club and it disappeared quickly. Everyone wanted the recipe. The Gruyere cheese made it extra special! Best quiche recipe I’ve tried and I didn’t miss the crust at all! I made this last night and it was fantastic! The entire family enjoyed it, even my husband who thinks meat should be included in every dinner. Make sure all the water is evaporated from the broccoli, which it clearly states in the recipe. I own the cookbook and have made many recipes from it and the website and I have never been disappointed! I’m in my 80’s and have ALWAYS had an aversion to using CREAM (except in chocolate truffles, LOL). I realize that a custard is NOT a custard without cream. Are there any possible substitutions that might at least cut some of that bad fat? Hi RoCo, Typically I’d suggest half and half as an alternative to the cream if you’re looking to cut back on fat a bit, but the cream keeps the custard a little sturdier. You could try it with half and half — the quiche just might be a little harder to cut and serve. Hope that helps and that you enjoy if you try it! Hi Jenn! Still obsessed with your recipes – 2 years later! I’m an even bigger fan of your cookbook and constantly find myself going to it for great recipes! I have the same concerns as RoCo re: fat content. I saw another review above used plain greek yogurt. Do you think this could provide the same texture required for this quiche? Would you adjust the amounts at all, or does like for like work here? Thanks for always keeping my belly happy! Hi Shaz, So glad you like the recipes! 🙂 I’ve never tried this with Greek yogurt, so I can’t say for sure how it will turn out, but suspect it will work. Please LMK how it turns out if you do try it! Adore all your recipes as written, but wondered if I could substitute chicken stock for water? Sure, Julie – that should definitely work. Made this for Mother’s Day brunch and it was a hit. Had more guests than expected so I made them in muffin tins, baked for about 30 minutes. My friend who is on a special diet was excited that he could eat them since it didn’t have a crust. Will def make again! Yummy and easy! Hi Jenn: Made this Quiche for dinner last week and it was just so perfectly delicious. We had 2 pieces left over, which I froze and re-heated last night in the microwave. They too were just as delicious. Thank you for sharing your talents – so much appreciated. Can you substute half and half for the heavy cream without ruining the quiche? Hi Joanie, Typically heavy cream and half and half would be interchangeable for quiche but I worry about it here because there’s no crust. The cream keeps the custard a little sturdier. You could try it, the quiche just might be a little harder to cut and serve. Hope that helps! I used non-fat half & half in it. The cutting & serving was not a problem at all, but there was quite a bit of water on the plate. Lesson learned. I may add a tablespoon of flour to the onions as they’re sauteing, next time, since using the non-fat half & half put it within my calorie allowance: 318 at 4 servings per quiche. Thanks for all your delicious recipes! Delicious. Quick, easy, and very satisfying. Add a salad and voila –a yummy meal. Thank you for this keeper. One word: DELICIOUS!!!!!!!!!!!!!!!! Thank you so much for ANOTHER wonderful recipe! This one has earned a special place in my recipe book. I made this for a work function. I received several compliments and request for recipe. Several people had seconds. I loved it! Will definitely make again. Fabulous! So tasty and a good option for any meal. Easy to make too! I didn’t even miss the crust. Your broccoli quiche is a Sunday night go to. Recently made this for a brunch bridal shower and used muffin tins for individual quiches. Baked them for about 35 minutes. Each one was perfect. Shared the recipe and your website with many guests st that shower. Thank you for delicious and easy to prepare recipes. What a great idea using muffin tins for a crowd! Can you confirm how many individual quiches did you realize from the recipe? I’m thinking about doing the same for a crowd of 12-15 people and think Jen ’s quiche served that way would be a great way to go! Hi Mary, out of those two quiches, you could make either without the crust but I’d recommend the Spinach & Gruyere Quiche over the Leek and Parmesan — it’s a bit more substantial. This is easy and delicious! Made it with a smoked Gruyere and no-fat Half & Half, and it was heavenly. My go-to quiche recipe from now on. Thank you, Jenn! This was the best Quiche that I and/or my girlfriends have ever had. The secret has to be in the Gruyere cheese! We didn’t miss the crust at all. Simple to make and if you follow the recipe to a “T” you will NOT be disappointed. Hint: Use a French Gruyere~Trader Joe’s has one that is excellent. I’m having friends for brunch on Sunday and saw this recipe, so made a test run last night. It is every bit as spectacular as others have said and a slam dunk to serve company. I didn’t have quite enough broccoli, so I added mushrooms and a sprinkle of chopped pancetta and did have to drain liquid after sauteing. That was most likely caused by adding mushrooms, but they were a nice addition. This reheats beautiful, looks scrumptious and is easy to make. A real winner. What temperature should the dish be reheated at in the oven and for how long? Also does it need to be covered with tin foil while reheating? Hi Laura, To reheat the quiche, cover with aluminum foil and bake in a preheated 325°F oven until hot in the center, about 30 minutes. I made this to go with the tomato soup recipe. It was a big hit! All the carb counting friends loved it and so did I. Perfectly easy and perfectly delicious. Just made this tonight and my “meat loving” husband loved it! It’s delicious – definitely a keeper. Thank you, Jenn for another fantastic recipe! So so good–we loved it! The broccoli alone is also really good 🙂 I prepared it like you did for this recipe, but used it as a side dish–rave reviews! Baked the broccoli quiche this morning for New Year’s. It was delicious. My husband does not like broccoli, could I make this with mushrooms? I love your recipes. Keep up the hard work. Glad you liked it! Yes, you can definitely use mushrooms in place of the broccoli – just keep the ratio of mushrooms to custard the same – and cook and season them before adding. I want to tell you, this was so delicious! I did not make any changes. I loved the gruyere cheese, and love the low carb as this is our new way of eating to keep healthy. Thank you for sharing your gift of cooking with others like me who need help! I’m not a huge quiche fan (too eggy) but this one was different. Creamy, yummy and not the heavy eggy taste. Thanks Jen, for another recipe hit! I made with cheddar and green onion instead of shallot and Gruyere and it was still delicious!! Baked nicely and did not have any water in the bottom! I’ve made this several times, and it’s really good. I notice there’s a tiny bit of water on the bottom of the dish, though. I don’t know what I’m doing wrong, but it always tastes delicious anyway! Thanks for another easy, great recipe. I am going to make ahead of time for overnight guest. What is the best way to warm this up (temp and time)? Thank you. Hi Lisa, the microwave would be perfect for reheating this. Enjoy! Hi Natasja, you could try these as muffins, but they will be quite delicate. I’d suggest using an offset spatula to remove them from the muffin tin. They will take less time to bake – I’m not certain how long but I’d start checking them at 25 – 30 minutes. I’m planning to make this for a lunch in a few days but wondered how it comes out if made with a crust? Hi Teri, I haven’t made this without a crust, but I suspect it should work. Just make sure to pre-bake it like indicated in this recipe. I’d love to hear how it turns out! This was delicious! I subbed onion for shallots and cheddar cheese for gruyere one night when I needed a quick dinner! Delicious. Our family of 4 ate the entire thing in one meal! lol! Love how versatile this recipe is! Decided to use a refrigerator crust and pre-baked it per directions with leek quiche. I added diced ham and followed the rest of the recipe. So delicious! Also I have used 1/2&1/2 instead of heavy cream with great results. I have made your spinach gruyere quiche with a crust many times and it has always come out perfect. Hi Susan, sorry to hear this was a bit watery for you. Did you make any changes to the recipe? No changes were made. I made it exactly as the recipe said. I have made the spinach gruyere quiche before with crust and it was perfect. For the broccoli, I used fresh broccoli and drained it until there was no water. Although everyone loved it, it was a poor presentation. If you have any suggestions, please advise. I do not really recall, but perhaps that is the reason. I will try again and see what happens. This was soooo good! Didn’t change a single thing. Even my “where’s the meat” hubby was satisfied with this delish quiche and a salad for dinner. Um, guess who got to take the leftovers to lunch? This quiche is a favorite especially since it has no crust. Used Swiss cheese and garden fresh broccoli. A great recipe for high protein, high veg and low carb. I also appreciated the tip on baking at a lower temp; had not known that before. And the direction to put the cheese on and pour over the custard. Had been mixing cheese in with custard; this works much better. I make it for low-carb spouse and family. I used to make quiche all the time, but stopped making it because i was never happy with the crust. Who knew CRUST IS NOT NECESSARY! This is a fantastic recipe and is now one of my favorites. Thank you, Once upon a Chef! Hi Jen. I need to make a broccoli cheddar quiche for 300 people (yes 300) this weekend. I am wondering if I could make it in those large disposable aluminum pans. Would I double the recipe for each pan? Hi Ada, I’m not sure how well this would translate to big aluminum pans; I’m a little concerned that it wouldn’t set up as it should and would be hard to serve. If you do want to try it this way, I’d bake it for a bit longer. Would you be open to a different egg dish? I think this Spinach and Cheese Strata would work nicely. Do you think this recipe would come out the same if I used frozen broccoli instead of fresh? * I haven’t tried making this recipe yet, but I’ve made the quiche Lorainne and loved it. Sure, Taryn – just skip the step of cooking the broccoli since frozen broccoli is already cooked. We made this quiche today for supper/dinner for a meatless Monday meal. Easy to make & flavour was really nice. It was the first quiche I ever made. I normally by store bought because I thought it would be too hard to make myself. Such a simple recipe & flavour is awesome! I made recipe as written! I had never tried gruyere cheese so I went & bought some & when I first opened the package to grate we thought it smelled horrible but the taste was nice & once cooked it added such amazing flavour – I would absolutely buy gruyere again. My 2.5 year old loved this! My 6 year old tolerated it but he doesn’t care for eggs, cheese or broccoli & he ate most of it so I thought that was a success still. Jenn your amazing-love your site!!!! Can you use whole milk instead of cream? Hi Carol, I think you could get away with half & half here, but I wouldn’t recommend milk– sorry! Can you substitute another vegetable for the broccoli? Also, is it possible to substitute part of the cream with fat-free half & half? Hi Diana, Feel free to substitute other vegetables (I like the sound of asparagus or mushrooms). Just make sure to season and cook the veggies and keep the ratio of vegetables to custard the same. And yes, you can use half and half; it won’t be quite as rich, but it will still be delicious. Enjoy! The crustless broccoli quiche is a WOW! Remarkably light mouth feel with a delicate custard and even delicious broccoli! It doesn’t get any better than that. I give this one an easy 5 stars. Jennifer I really appreciate and trust your attention to detail. For me, as a home cook, your recipes make success easy and rewarding. Absolutely Delicious! Didn’t change a thing. Perfection! Can you make it without the cheese? Hi Anne, I’m not familiar with thickened cream. Heavy cream contains 36% milk fat, and it’s what we’d use to make whipped cream to top a dessert – is that what thickened cream is used for? Perfect dish for when my vegetarian, gluten-free friend visits! Thank you so much! This quiche its so goood! My in law & everyone in family rave about it. Thank you for this recipe! This was delicious! It was my 1st attempt at quiche and the recipe was easy to follow. I prepared the Crustless Broccoli Quiche two days ago . Hi, I don’t have nutmeg. What can I substitute for it or can I just omit it without sacrificing taste? I’d just leave it out. Enjoy! I love making pie crust and quiche, but this recipe has become my go to recipe. It is elegant enough to serve at showers (guests tend to comment on the saved calories of no crust) and it makes a great food gift or dish to share at potlucks. The flavor is amazing! I made this twice already. We love it. The first time I made it with a light cream (not heavy cream). It comes in a box from Trader Joe’s. It is a shelf stable cream and I keep it on the shelf until I need it. I used the 8 ounce box of light cream mixed with 3/4 cup half and half and the quiche was excellent. The second time I tried all half n half. It was good, but not as creamy as the light cream/half n half blend. It was almost “watery”, but it was still delicious and was gone in a day! The gruyere cheese and shallots really make it stand out from other quiche recipes. I also enjoy low carb recipes, so this one is a winner in my family. This recipe is incredible. I wondered if it could really be as good as it was made out to be in reviews (without a crust). Absolutely perfect! My go-to quiche recipe now. Hi Jenn, I am making up meals for the freezer in advance of my foot surgery. Would this quiche freeze well in separate servings? Also, is heavy cream the same as whipping cream? Hi Mary, Yes, you can freeze the quiche in individual portions. And heavy cream and whipping cream are very similar but have different levels of milk fat. You could get away with using either one here. Light, fluffy, easy & delicious! This quiche was a hit with my whole family! Absolutely the best quiche I have had and I love quiche. I have made the recipe several times but this was the first time I froze half. It was as delicious as ever. Thanks for another fantastic recipe. Fix this today it is excellent very light and moist that’s how I like my quiches, I will fix this again and again. Since I need to serve 8-9 people, can I double the recipe and make it in a 12 inch round ceramic dish or should I make 2 pies? If I can make it in a larger dish, how long would I cook it? Hi Sheila, I’d play it safe and make two pies; I worry it wouldn’t cook evenly in a large dish. I made this today with asparagus and mushrooms. While it was delicious, it was also a bit watery –from the mushrooms, I assume. I had tried to cook all the liquid out but guess I didn’t. Will try again. I made this recently for the breakfast buffet for an adult community engagement/leadership class I am the director for. It was big hit! (I substituted minced red onion and garlic for the shallots.) I can’t eat broccoli, so I didn’t get to taste it myself, but the texture looked lovely. I doubled the recipe and it was enough for 3 regular pans. My husband enjoyed the leftovers reheated for lunch. 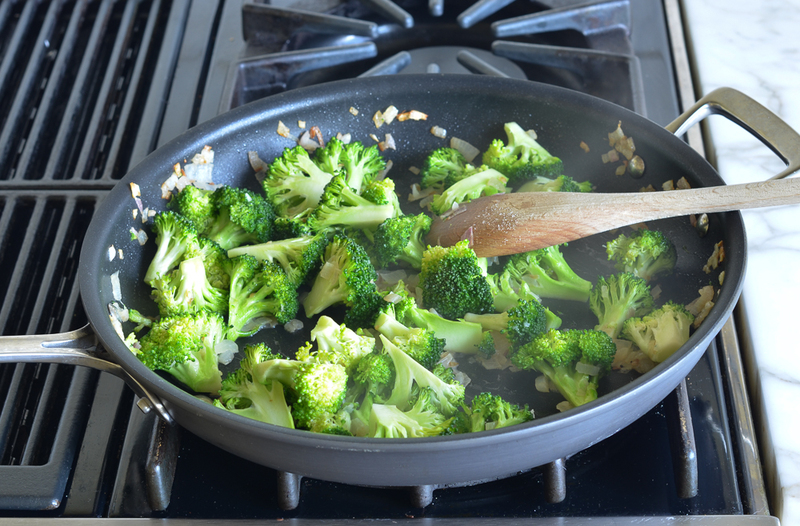 Jenn – Do you have any suggestions for other vegetables that could be substituted for the broccoli? Fantastic, rich & delicious! I added diced ham….will try bacon next. Great, easy recipe! Thank you!!!! Another winner. Can’t wait for the cookbook? LOVED this!!! I added button mushrooms with the shallots and used a jack/colby cheese mix and the family LOVED it! You have some amazing recipes! Thank you! How would one go about changing this to a classic quiche Lorraine? Hi Marjory, I don’t have a proven quiche Lorraine recipe on the blog, but you could do a loose interpretation using this quiche recipe and adding bacon to it. This quiche is excellent! My husband, who is not a big egg fan, said this is the best quiche I’ve ever made, and proceeded to go back for seconds. Another keeper, thanks Jenn. Since you said we can switch out different veggies and cheese but use the same ratio, ant guess as to what 10oz of broccoli is in cups?? And any veggies to avoid for putting into quiche due to water content? I would estimate that 10 ounces of broccoli is the equivalent of about 3 1/2 – 4 cups. I can’t really think of any veggies to avoid here but think that either asparagus or mushrooms would be delicious options. Thank you! I am making 5 quiche for a baby shower and wanted to mix it up! Delicious! I recommend your blog to so many people bc of recipes like this. Tested and perfected 🙂 seriously though, I’ve made sooooo many of your recipes and you are the most reliable source for me. Amazing food all the time. I am curious, do you monitor comments at all? I just found out that bloggers (i don’t know if you consider yourself a blogger or not but you probably get what I mean) do that often. I love your food and have never commented rudely but am curious what your stance is for transparency’s sake! Thank you, Cathy! I’m so happy you enjoyed it. I do monitor comments and publish 99% them — the only case where I won’t publish a comment is if someone uses offensive language. I don’t get many of those though ?. Very good! And very easy! I made this quiche for the lovely ladies of my bible study yesterday!!! I prepared it exactly as written and it was amazing!! Everyone absolutely loved it!!! It was so decadent and had a beautiful texture!! It’s a definite keeper!!! This quiche is delicious and so easy to make. Next time I think I will add cooked sausage to satisfy my husband, but it doesn’t really need it. The custard is so heavenly and it had a wonderful flavor. Made this last night. It was a big hit I added a little bit of fresh spinach with the broccoli mixture but stayed at 10 oz. It reheated very well. Awww…so happy you all loved it ? I made the quiche for my wife this morning and we both loved it! This was only the second quiche that I have ever attempted and it came out perfect. The golden color and the wonderful texture and taste were all perfect! Just one more foolproof blue ribbon recipe from your vast collection. Thank you for sharing!!! Hi Jenn, I’m wondering if this could be made with a sliced potato crust? And how you would go about doing that? Thank you and I can’t wait to try it with or without the potatoes! Hi Erin, I’ve never done that but I suspect you could. This recipe here provides some nice guidance for the potato crust. (Keep in mind that it is made from grated versus sliced potatoes.) I’d love to hear how it turns out if you make the quiche this way! It turned out great! I used this recipe http://www.cookinglight.com/food/vegetarian/sweet-potato-quiche-crust for the sweet potato crust. I also added some diced ham and it was all delicious! Yum- sounds delicious- thanks for reporting back! This is excellent. The custard is creamy and soft and the flavor is so yummy. Took exactly one hour to bake. I used Swiss because that is what I had on hand. I didn’t expect to love this but I had two helpings, (husband loved it). Reheats well – eating the last of it now! Really delicious and so easy! Didn’t change anything. yum! Made this exactly as written, it was delicious and very easy! Thanks! I live at high altitude (7200 ft.) Do I have to alter the recipe in any way? Hi Sharon, I know that baking at high altitudes definitely requires some adjustments, but I’m not certain about something like a quiche. Here is some info that you may find helpful. I live alone & cut the recipe in third. It was delicious, possibly the best quiche I ever had. I did not miss the crust. I made it with cheddar. I have a question and wonder if I can use half and half instead of heavy cream – will that work? Yes, Pamela, it won’t be quite as rich, but it’ll still be delicious. The Gruyere made all the difference. I was going to use cheddar like I had done for past recipes. I am so pleased that I listened to Jenn because this was the best broccoli quiche I have ever tasted. Can’t wait to try this as it will be keto friendly. Love your recipes and when I find ones that are low carb it is just extra special. Thanks Jenn. Can you use milk in place of heavy cream to reduce the fat? Would it work? Thanks. Hi Adele, I think you could get away with using half and half here, but I wouldn’t recommend milk– sorry! Made this for company brunch over the weekend and it was a smash hit. Did not miss the crust and it was EASY! Thank you for the always reliable and delicious recipes! My quiche was very watery. The top was brown but I have a convection oven and I took it out about 20 minutes early because it looked done. Can you tell me where I went wrong? Hi Judi, So sorry you had trouble with the quiche — it really needs at least a full hour to cook, and it’s best not to use convection setting. Thanks for the reply. It is your first recipe I have tried so my daughter and husband are anxious for me to try your suggestions. It smelled wonderful, it was beautiful and so we were all disappointed when then filling was water. Please let me know how it turns out if you try it again — and btw, if you’re ever dealing with an undercooked quiche situation, you can always pop it right back in the oven to continue cooking :). Absolutely delicious. Just made it this morning. So easy to make. Made this for dinner last night and it was excellent, a delicious dish. Very happy will make again! Made this last night with no changes and it was very easy to make and very good. Didn’t miss the crust at all. Is it fine to make a day ahead and cook the following day? Sure, Sara – you could also bake it and then just reheat it the following day. Can the cooked quiche be frozen? Yes, just wrap it tightly in foil and freeze for up to 2 months. Let the quiche thaw in the fridge overnight before reheating. Can I substitute a traditional quiche pie plate? Sure, Hildy, as long as it doesn’t have a removable bottom. Enjoy! Hi Jenn, am looking forward to trying this delicious-sounding quiche! Any suggestions for a couple of sides that would pair well with it? Thanks for all your great recipes! Hi Hannah, It’s quite rich so I’d serve it with something light, like a green salad or my French grated carrot salad and a baguette. You could also do fresh fruit. During cooler months you could also pair it with tomato soup. Could u do this in muffin pans to make mini quiche? Yes, Kara, I think that’s doable. They may be a little challenging to remove; an offset spatula would work well. My pleasure, Hannah! (And yes, the carrot salad can be made a day in advance.) Enjoy! Just a comment, I’ve always done “crustless” quiche with a potato base. I par boil a couple of potatoes and add a tbsp of butter to bind them then mash, and press into my quiche pan. Looking forward to trying this without the starch. Thx for the recipe! Like the crustless idea. Can you give me some receipts with sausage. I host Easter and make 4 quiches. Not concerned about calories. Hi Kathy, I think you could easily add some cooked crumbled sausage when assembling the quiche. You might cut the broccoli a bit though so it all fits in the pan; and I’d also reduce the salt by about half since sausage is quite salty. Is there any way to change out the cream for milk or something to make it a little lighter on the calorie front? Or will that impact the consistency? Hi Katie, I think you could probably get away with half & half but I wouldn’t use milk. Hope that helps — and please lmk how it turns out if you try it that way :). I’ve made it before with whole milk, and while it doesn’t have that silky consistency, I think it still tastes pretty good!